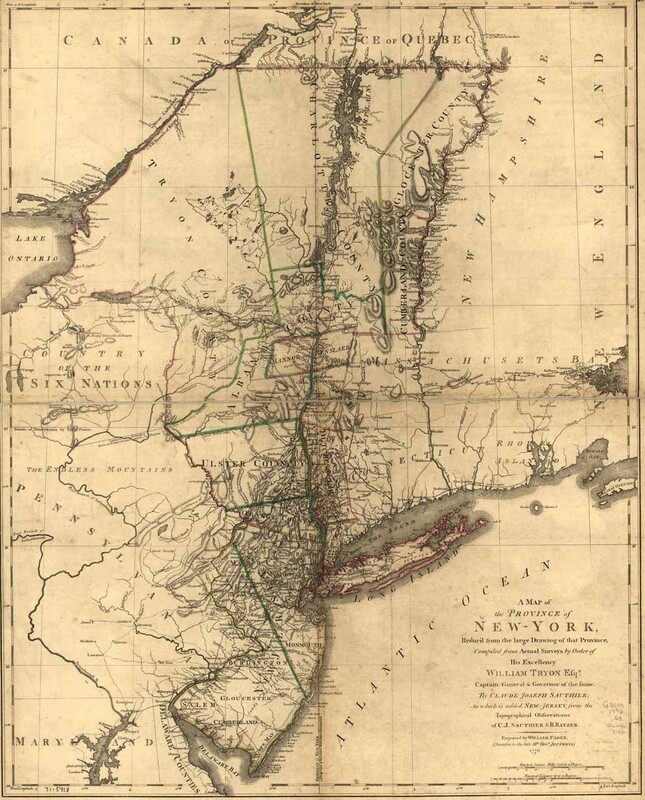 A map of the Province of New-York, reduc'd from the large drawing of that Province, compiled from actual surveys by order of His Excellency William Tryon, Esqr. 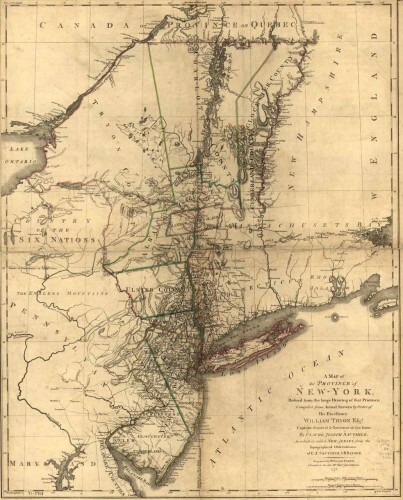 Captain General & Governor of the same, by Claude Joseph Sauthier; to which is added New-Jersey, from the topographical observations of C. J. Sauthier and B. Ratzer. Engraved by William Faden ... 1776.